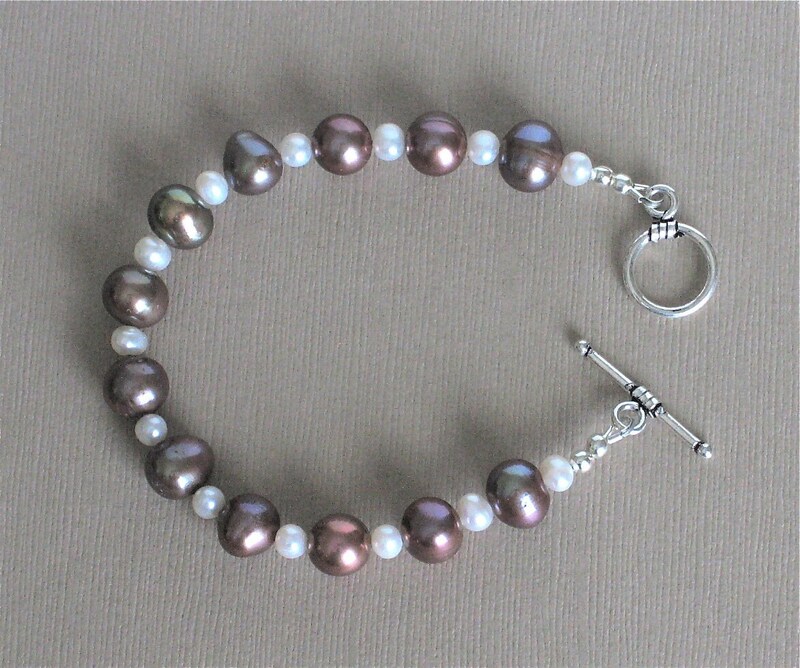 Pretty bracelet made with 9mm potato shape peacock pearls and 4mm potato shape white freshwater pearls. Finished off with a sturdy sterling silver toggle clasp. The length is 7 1/4 inches. The last photo shows matching necklace and earrings, which are sold separately. Multi Colored 3 Strand Braided Pearl Necklace - Green, Gold, and Plum Colored Pearls - 18"